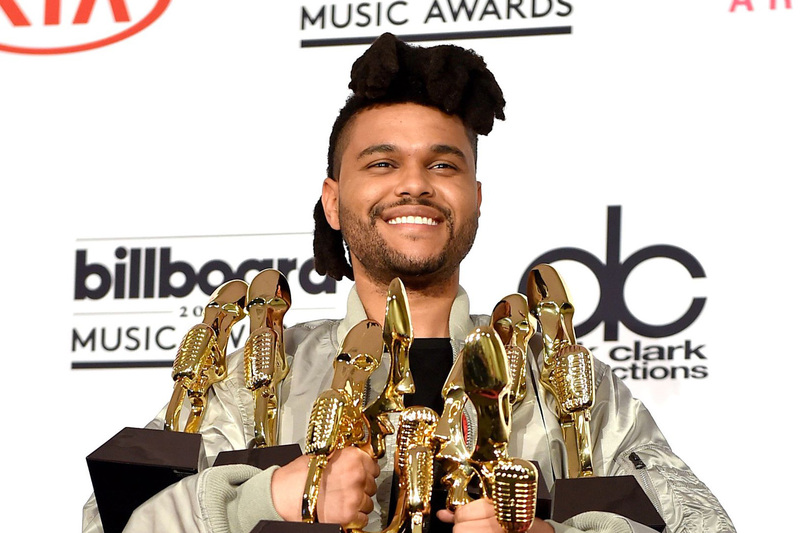 The Weeknd takes home eight awards from the Billboard Music Awards. On Sunday May 22nd, The Billboard Music Awards brought out the biggest names in music in Las Vegas. The show awarded top performers of the past year including; Adele, The Weeknd, Rihanna, Justin Beiber, and many more. As well as paying tribute to important figures in music, some of which we lost earlier this year. Britney Spears kicked off the show with a medley of her greatest hits as well as a cover of Joan Jett’s “I Love Rock and Roll”. Special tributes were made throughout the night. Kesha and Ben Folds paid tribute to Bob Dylan by performing “It Ain’t Me Babe”. 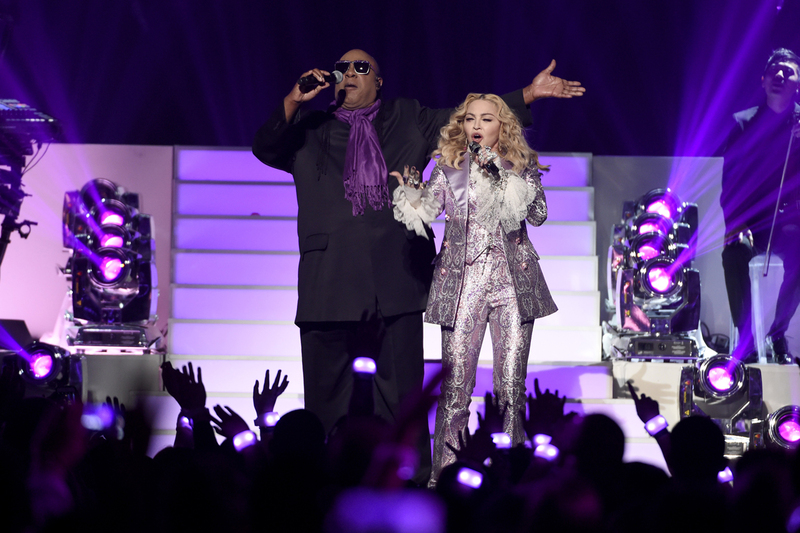 Madonna and Stevie Wonder teamed up to perform a tribute to Prince, who died suddenly in April. Questlove, drummer of The Roots, introduced the act and remarked on the importance of Prince’s legacy. Madonna started off with “Nothing Compares 2 U” a song written by Prince and performed by Sinhead O’Connor and was later joined by Stevie Wonder to perform Prince’s hit “Purple Rain”. Stevie Wonder and Madonna pay tribute to Prince at the Billboard Music Awards. Celine Dion gave an electric rendition of “The Show Must Go On” by Queen before accepting the ICON award. Dion was surprised by her son René Charles Angélil who presented her with the award. Dion suffered the loss of her producing partner and husband René Angélil and brother Daniel Dion. The biggest winner of the night was The Weeknd, who took home 8 trophies. Adele also had a winning streak, accepting 5 awards including the major award of the evening, “Top Artist”, and David Guetta won an award for “Top Dance/Electronic Artist”, Guetta’s third Billboard Music Award win.